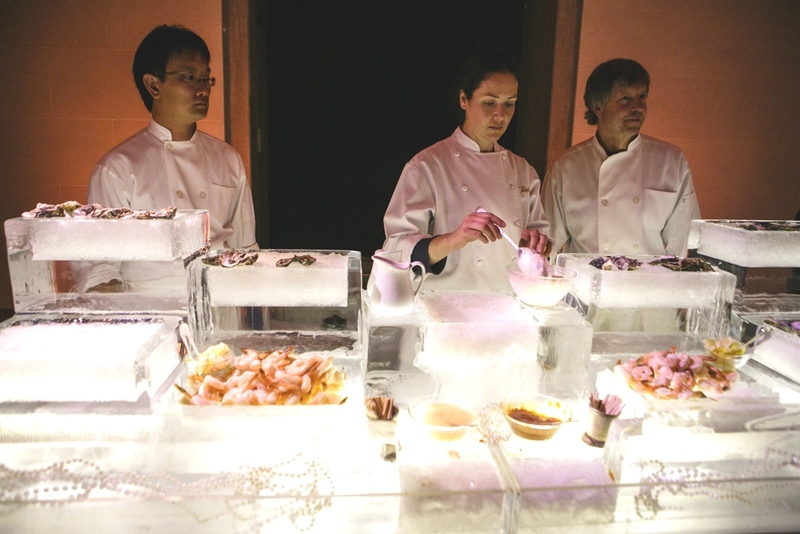 Instantly elevate your corporate event with an oyster bar or seafood spread. We provide seafood and raw bars that suit the occasion, working seamlessly with event planners, caterers, and venue staff to create a memorable event. Our team's polished presentation and years of entertainment experience fit in everywhere, from upscale charity fundraisers and company holiday parties to conferences and trade shows. Wondering if an oyster bar is right for your next corporate party? Well, we can't make any scientific claims, but anecdotal evidence has shown us time and again that the happiest CEOs, the most generous donors, and the most satisfied board members are often the ones with an oyster in each hand.